Working feet need endless support and durability. It also helps if working feet are protected from wetness and provided with slip resistance, so slips and falls aren’t a concern. Your working feet are no different. As such, they would most definitely benefit from ... (see full details) (see specifications) #26632. Working feet need endless support and durability. It also helps if working feet are protected from wetness and provided with slip resistance, so slips and falls aren’t a concern. Your working feet are no different. As such, they would most definitely benefit from wearing these Danner Men's 6 Inch Black 26632 Striker Bolt Duty Boots from Working Person's Store. They have all of the aforementioned qualities, so your feet will be dry, comforted, protected from slips, and wrapped in a hardy shell wear after wear. For starters, these men’s slip-resistant boots are crafted with quality. The Striker duty boots feature an upper made from leather and nylon. The leather and nylon upper creates a duo in durability that you can rely on wear after wear. Plus, the upper is coated in polyurethane, which adds to the durability and helps keep them clean. The polyurethane coating also makes them easy to polish, so you are never looking untidy or unkempt. The Danner black boots also feature a lace garage on the upper and a Vibram Striker Bolt outsole. The outsole is tough, but it has more to offer, too. The rugged outsole found on these leather and nylon boots is tough, as described, but it's also slip-resistant. The sole provides maximum surface contact while gripping on and off the pavement. In doing so, it keeps you safe. But the slip-resistant sole is also functional. It ensures that each of your steps is effective, so you’re not slowed down by a slip or stumble. Along the lines of functionality, these men's polyurethane-coated boots can also keep your feet dry because they are completely waterproof. The 6-inch boots are made with GORE-TEX technology. The technology protects your feet from wetness because it offers a breathable waterproof lining, which allows air reach your feet to keep them from overheating and sweating while also preventing wetness from entering. Aside from protection from wetness, these men's Danner boots offer comfort. They're crafted with a cushioning polyurethane footbed, which is included to provide underfoot support and comfort with each step. The black work boots are also built with a TERRA FORCE NEXT platform. It offers superb arch support, torsion control, and shock absorption by combining both an internal and an external shank. And lastly, a Vibram SPE midsole brings lightweight comfort to top it all off. 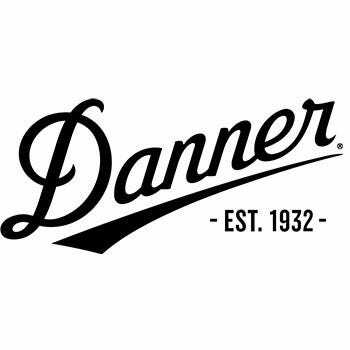 Get these Danner Men's 6 Inch Black 26632 Striker Bolt Duty Boots here at Working Person’s Store today. Your feet will thank you for keeping them dry and comforted, and you’ll thank yourself for not having to deal with wetness or weakness in the design. Danner Boots: Men's 6 Inch Black 26632 Striker Bolt Duty Boots is being added to your cart.